There's a half a dozen starters returning from last year's squad, led by senior Erik Nellis at heavyweight. Nellis is coming off a nice 2016 that saw him win 19 bouts. 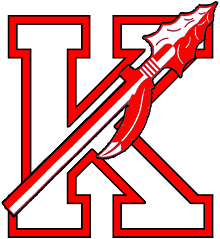 Keyport has had a history of producing successful upperweights, so the hope here is that Nellis can put together a big year and make a nice post-season run. For the other returners, Sean Walsh and Barret Bremekamp are paired up around the 132 area, while Skye Blanks and Austin Rose are in the 152/160 range. These four can look to push each other in the room, and look to take their game to the next level. With numbers low, the Raiders are going to be in a big hole in the duals. The focus here will most likely be for the guys in the room to keep improving throughout the year, and work hard towards finding success in the post-season. Hopefully, with a strong showing, it will encourage more interest in the program and help drive up the numbers.